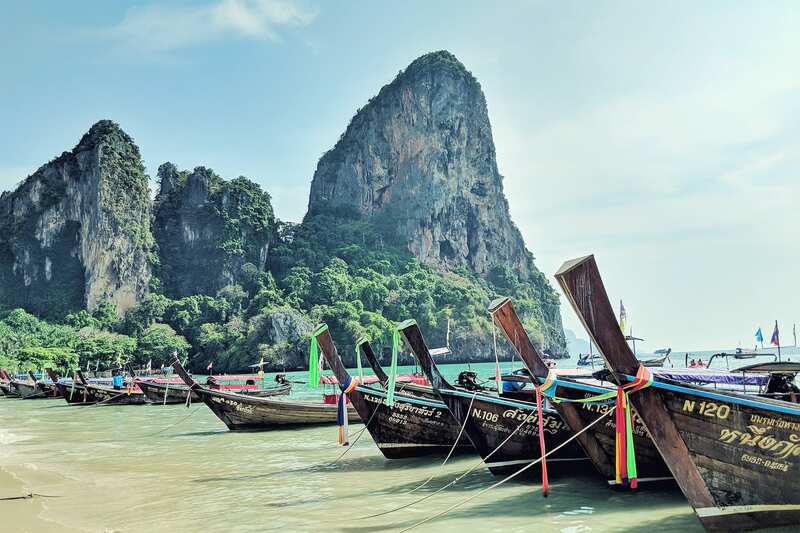 Explore the fairy tale landscapes of Southern Thailand with an epic multi-sport adventure. Head deep into the jungles of Khao Sok National Park by kayak and on foot, encountering exotic wildlife on the way. Continue to tropical beaches to paddle, snorkel and rock climb around pristine marine landscapes. Get active in Khao Sok - Explore Khao Sok’s jungles and lakes by kayak and on-foot and stay in the middle of the national park. 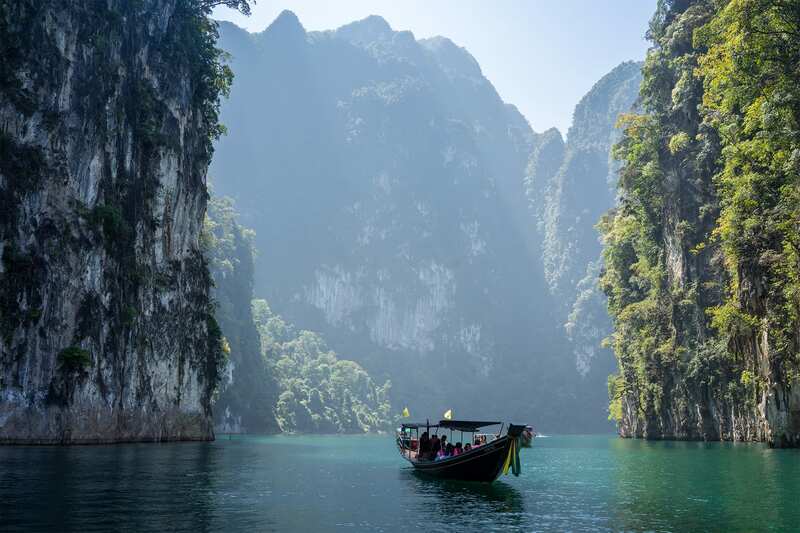 See exotic wildlife and marine life - Take guided safaris in Khao Sok and snorkel in Hong Marine Park, seeking out colourful fish and amazing jungle fauna. 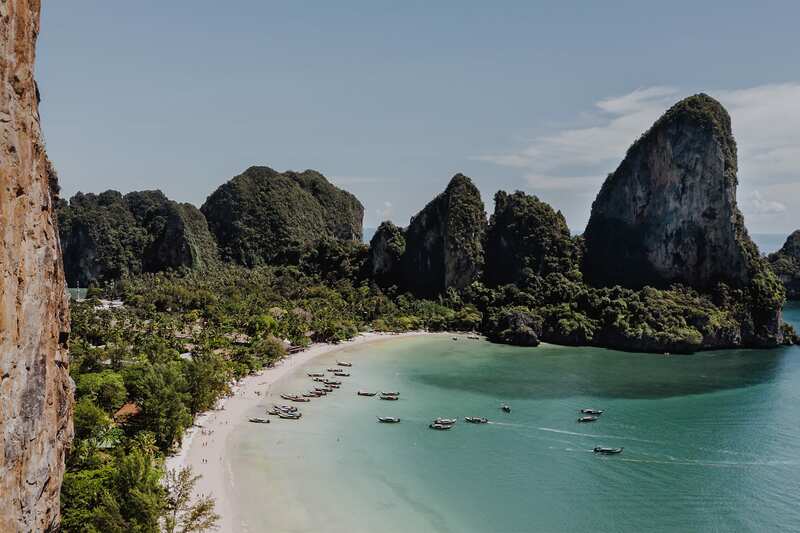 Try rock climbing in Krabi - Scale the stunning limestone cliffs of Railay beach near Krabi with a variety of routes for beginners to experts. Upon arrival at Phuket International Airport, meet with the guide and driver and transfer to the hotel.The rest of the evening is at leisure. Head out for some independent exploration, or relax at the hotel. After breakfast, be picked up from the hotel in Phuket and transfer to Chiew Larn Lake for a Khao Sok National ParkAdventure. 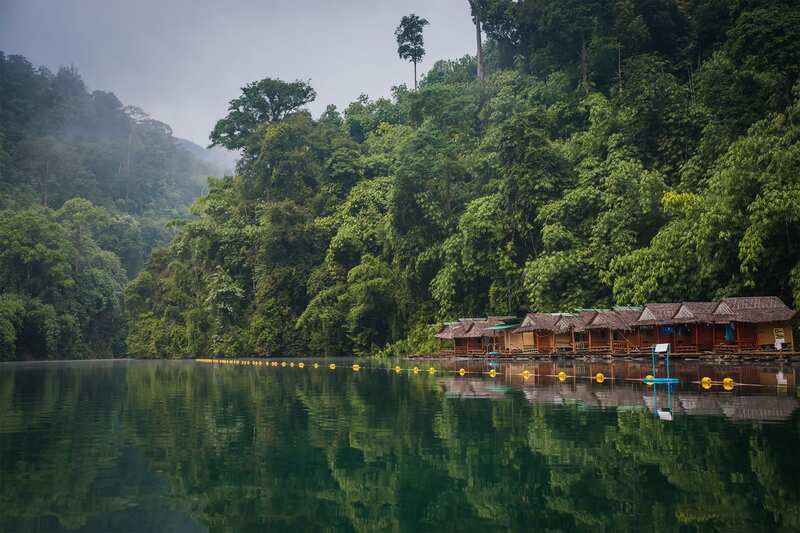 Khao Sok is widely regarded to be one of Southeast Asia’s premier natural wonders. Upon arrival, hop onto a boat and take a scenic one-hour journey across the lake to a beautiful raft-house. Along the way, stop by the incredibly gorgeous “Guilin Scenic Area”. Like its namesake in Guilin, China, karst limestone mountains rise dramatically out of the water here. After arriving at the raft house, check in and be treated to a scrumptious lunch of traditional Thai food including a curry and vegetable stir fry. Then, take a short paddle around the raft house before an afternoon hike through the jungle to learn about the flora and fauna of the area - one of the world's oldest and most pristine stretches of rainforest. 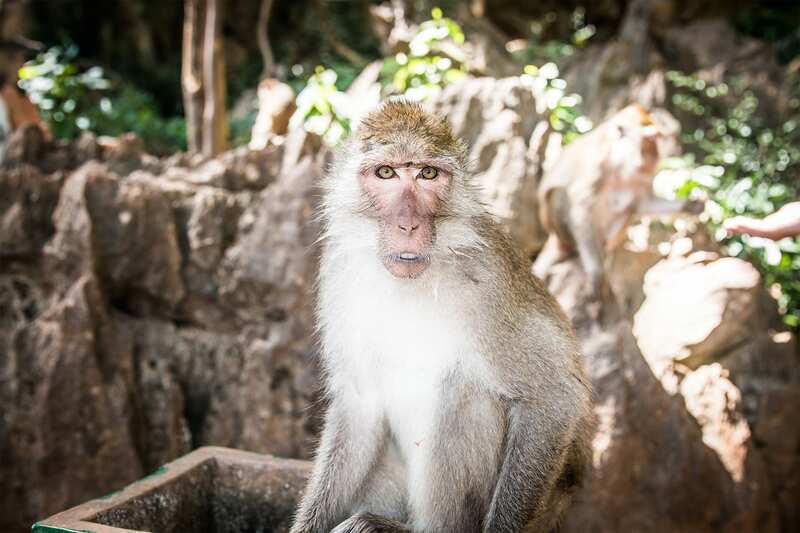 As the day winds down, jump on a longtail boat to go wildlife spotting with the guide and get a chance to see macaque and langur monkeys, hornbills and eagles, gibbons, and with a bit of luck, even a wild elephant! After returning, enjoy a traditional Thai dinner of curry and fish before retiring to the beautiful floating bungalow to spend a wonderful evening surrounded by nature. Overnight in a floating deluxe bungalow. Wake to the sounds of nature and then enjoy a simple but tasty breakfast of rice porridge or eggs and toast.Heading out to a trailhead, explore the jungle once again on a second half-day hike in one of the world's oldest forests. Depending on the season, this could be to a cave, a waterfall, or a viewpoint. After lunch, the rest of the afternoon includes time for swimming and exploring the lake in a kayak. In the evening, it’s time for another wildlife safari to meet the jungle inhabitants – keep an eye out for the dazzling array of tropical birds, and interesting species such as the sambar deer and Malayan tapir. End the day with dinner in the restaurant, and sleep well as the lullaby of forest noises hums in the distance. Wake early in the morning on this day to head out on an exciting morning mist safari. As morning unfolds on the lake, follow the guide’s lead as he points out wildlife, unusual ferns and orchids hanging from the trees. Return to the raft house for breakfast, which is usually rice porridge or eggs and toast. After checking out of the bungalow, spend the rest of the morning at leisure - relax, swim or go kayaking. 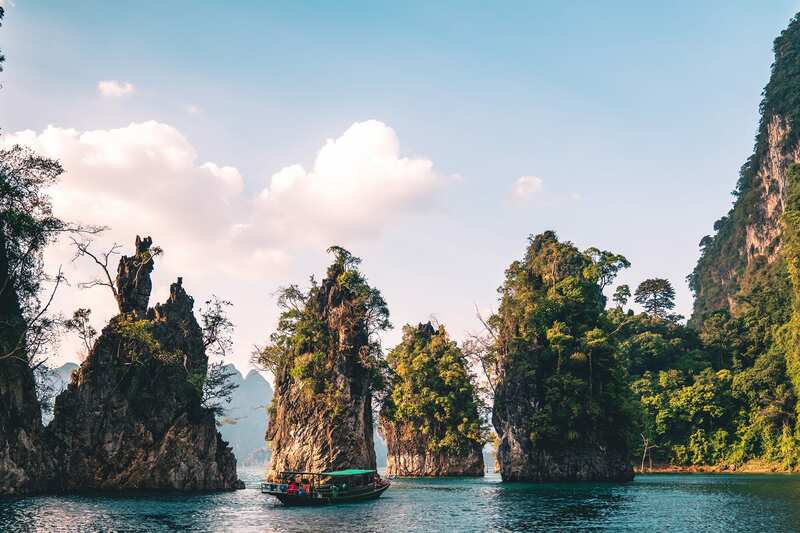 After another delicious Thai lunch,board a longtail boat and make a scenic trip back to the pier and be transferred to a hotel in Khao Sok National Park.After checking in, take some time to relax a bit. Then, in the afternoon, meet with the guide and head out for an	exciting Khao Sok night safari. Much of Khao Sok’s wildlife is nocturnal, sleeping in the heat of the day and hunting by night. An experienced night safari guide will lead the way while, looking for exotic wildlife in the area’s fruit farms, where many jungle creatures can be seen at night. Afterwards, enjoy a scrumptious dinner and then overnight at Riverside Cottages. Wake up to the sounds of forest birds chirping and gibbons singing in the forest. Have breakfast at 08:30, and at09:30, head out for a 2-hour canoe trip down Khao Sok River. Canoeing along Khao Sok River is a very relaxing way to see a different side of the area’s ecology. Breathtakingly beautiful limestone karsts form the backdrop for the evergreen virgin rainforest we paddle through. Return to the resort to check out of the room by 13:00 and have an independent lunch at the Riverview Restaurant. Th3n, in the afternoon, transfer to the hotel in Phuket for overnight.In the evening, meet with the guide for dinner and receive a briefing on the upcoming kayaking trip in Phang Nga Bay. After breakfast at the hotel, be picked up and taken to Phang Nga Bay. Dotted with spectacular limestone islands jutting out from emerald water, Phang Nga is a must-see for any one exploring the region. 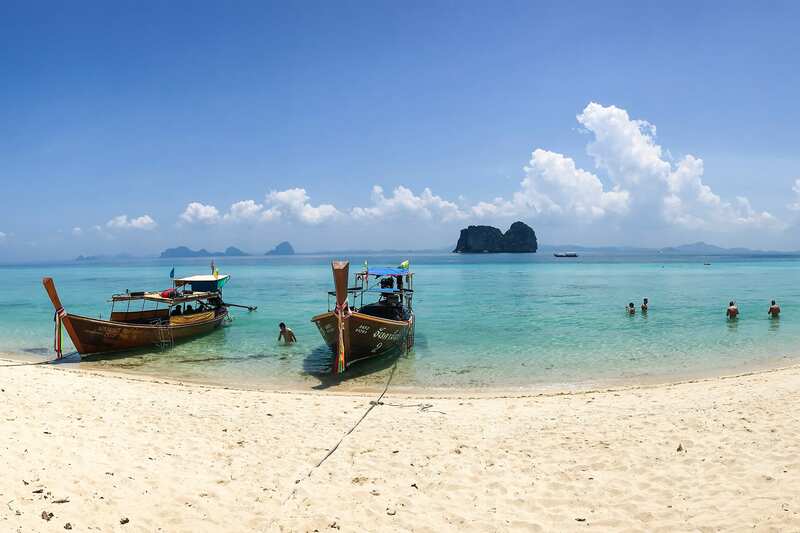 Cruise privately through the picturesque bay in a traditional longtail boat to Koh Panak. From there, trade the longtail boat for kayaks and head out for a wander. Spend 45 minutes kayaking around the area’s stunning limestone cliffs before hopping back on-board the longtail boat for a cruise to James Bond Island. 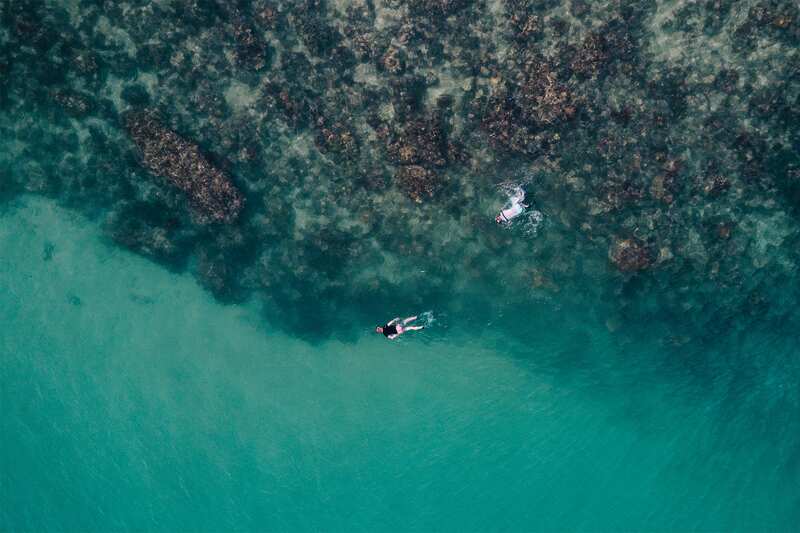 Take a look at this stunning little island that was once featured as the domain of a villain in a James Bond Movie, and then head back out for a kayaking trip around the surrounding mangroves. Stop along the way for an enjoyable picnic on a beach. Following lunch, take to the water again for a leisurely swim or get back in the kayaks to explore some nearby caves before heading to Koh Yao Yai Island for an overnight stay. Enjoy breakfast at the hotel and then board a longtail boat to Hong Marine National Park Island. The boat will head through a group of stunning small and medium-sized islands. In addition to being staggeringly beautiful, the area is also host to some pretty fantastic underwater delights. 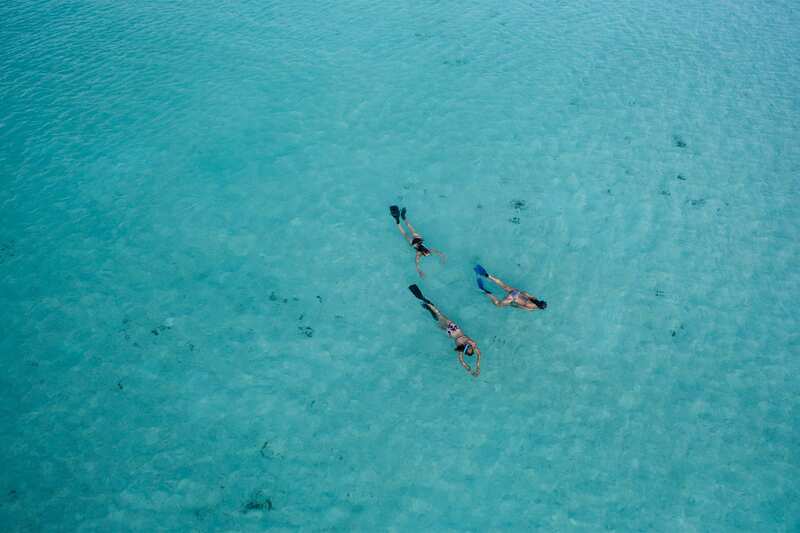 Take some time to snorkel the clear waters of this area for a	look at the resident marine life or relax and enjoy the scenic ambience of these little-visited islands. Stop for a packed lunch before an afternoon kayaking around Kudu Island. Shallow inlets, limestone cliffs and tucked away beaches are some of the things we experience by exploring the waters around the island before returning to the hotel for dinner and overnight. Enjoy a late breakfast and take a quick swim in the bay before checking out of the hotel and transferring for 1.5hours by boat to Krabi for your a stand up paddle boarding, trekking and rock climbing adventure. Check in and have a bite of lunch at the resort before being picked up for an afternoon of paddle boarding on the incredibly scenic Railay Bay. The paddle boarding instructor will provide instructions on how to use the paddle boards before heading out 2-hour paddling trip which can be as leisurely or strenuous as desired. Back to the hotel to freshen up before spending an evening to relax. Dinner at leisure at the hotel or ask the guide to recommend a good sunset view restaurant for dinner in the evening. Note: Paddle boarding can sometimes be weather-dependent during rainy season. Spend the day at leisure. Either relax at the hotel, head out for some independent exploration, or join an optional tour. Start early in the morning for a full day of hard trekking at Phenombencha National Park. This 50-sq-km park protects a dramatic area of virgin rainforest along the spine of 1350m-high Khao Phanombencha, just 20km north of Krabi. The name means Five-Point Prostration Mountain, a reference to the mountain’s profile, which resembles a person prostrating in prayer, with hands, knees and head touching the ground. The park is full of scenic waterfalls,including the 11-tiered Nam Tok Huay To. Close by, and almost as dramatic, are Nam Tok Huay Sadeh and NamTok Khlong Haeng. Many years ago this was home to clouded leopards, black panthers, Asiatic black bears,barking deer, serow, and tigers. Now, much of this wildlife has moved deeper into the forest interior. With a hike to this hidden world, and a bit of luck, it’s possible to see rare exotic species such as Malayan tapirs, leaf monkeys,gibbons and various tropical birds – including the helmeted hornbill, and extremely rare Gurney’s pitta. This 5-7hours trek requires a reasonable level of fitness and agility. The trek follows the river to a cave entrance and climbs quickly into the jungle via rubber tree plantations, spectaculars fauna, and floras. Return to the resort for an evening to relax before a full-day rock climbing adventure tomorrow. 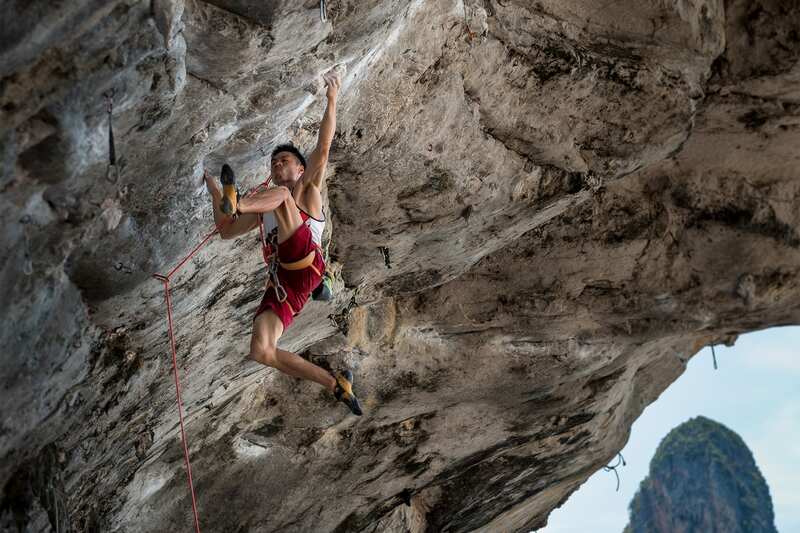 Be picked up from the hotel in the morning and trek across the beach to a gorgeous rock climbing spot in Railay. There, receive a safety briefing about rock climbing, as well as some of the unique conditions of the area. This tour is an ideal for both beginners and experienced climbers. The guide will then lead a visit to two spectacular locations where guests will try rappelling/abseiling as well as “top-rope” rock climbing -fun and safe for beginners and experts alike. A fun and inclusive course for every level of climber running there additional days. Learn about various rope techniques, the equipment and, of course, climbing; top-rope climbing, leading and multi-pitch climbing,rappelling/abseiling and how to belay. Receive a certificate, a free t-shirt and lunch. *All guides are very experienced climbers and instructors. *2 nights extra accommodation at Railay Bay Resort and Spa. Dinner not included. Following breakfast depart in the morning for a transfer to Krabi Airport to catch an onward flight. An itinerary may at times be altered by our guides due to local conditions, the skill of participants and other unexpected circumstances. Our priority is always the experience and safety of our clients. See something in the itinerary you want changed? Feel free to reach out for a custom tour! Rental of kayaks, paddle and waterproof daypack.